Danella is a utility construction company based in Plymouth Meeting, that specializes in storm restoration, gas, electric, communications, and water facilities installation. In short Danella installs, maintains and supports our nation’s infrastructure. We here at JPG have had the pleasure of working with VP Joseph Spause and the team at Danella and their various divisions on a number of different projects. We’ve shot everything from training videos to corporate headshots and event coverage to B2G promotional work, and timelapse videos on new constructions. These projects have been right in our own back yard and even taken us down to Florida to follow the fleet of workers as they repaired damages from Hurricane Matthew. We’ve done it all with Danella, and we’re always excited to work with them. 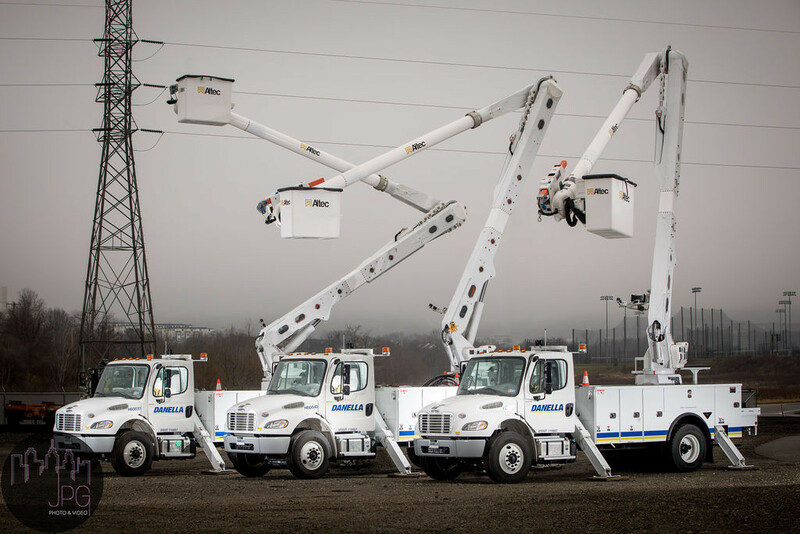 Most recently the team was called upon by Danella to photograph their new line bucket trucks. Prior to the shoot, JPG worked to develop a storyboard of proposed image angles and truck formations. In the end, we settled on three main hero images, which can be viewed in the mockups below. Rising early the team was on set at 6:45 am to capture the images during sunrise. The final images were a success and the team spent only 3 hours on set, position each bucket truck at the perfect angle for capture. 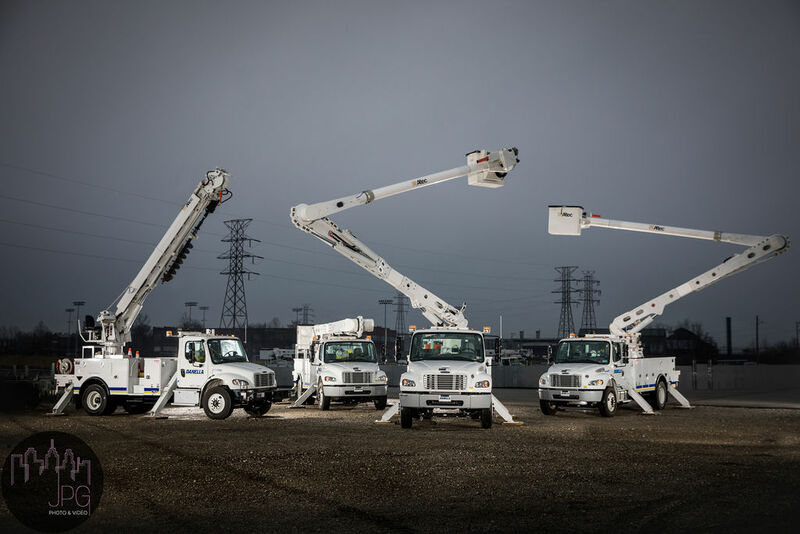 In the end, the team at Danella was pleased and we were happy to have provided them with some great new publicity photos for their new fleet of bucket trucks.